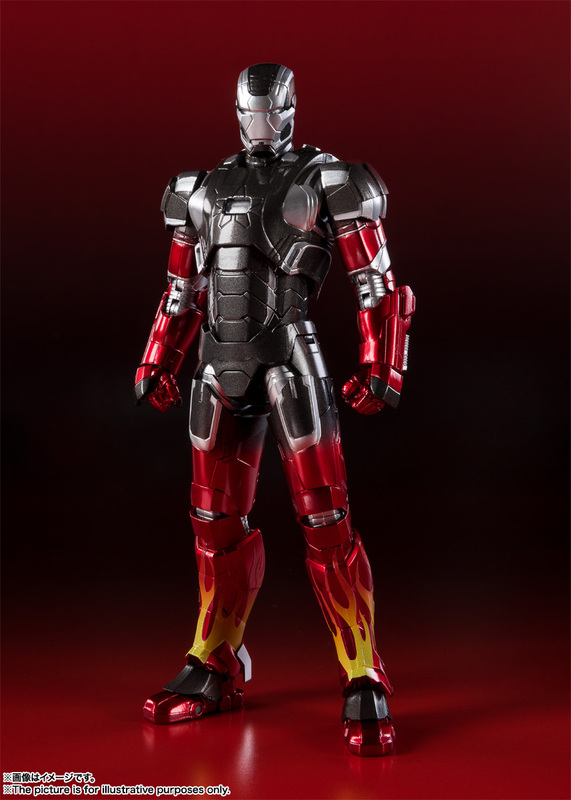 Tamashii Nations revealed a new Iron Man figure. The S.H. 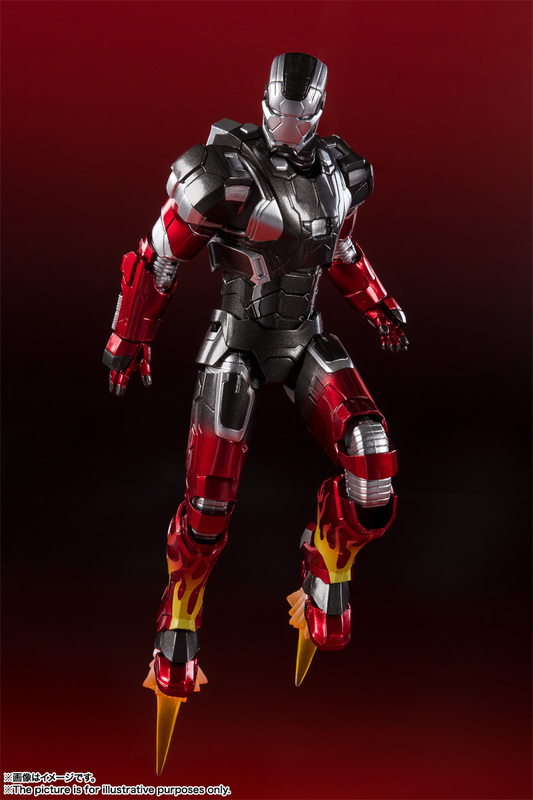 Figuarts Iron Man Mark 22 Hot Rod Armor Figure will be available at the Marvel Age of Heroes Exhibition, which will be held in Osaka, Japan. The event takes place from Saturday, December 15, 2018 through Sunday, February 17, 2019 at the Granfront Osaka Knowledge Capital Event Laboratory. 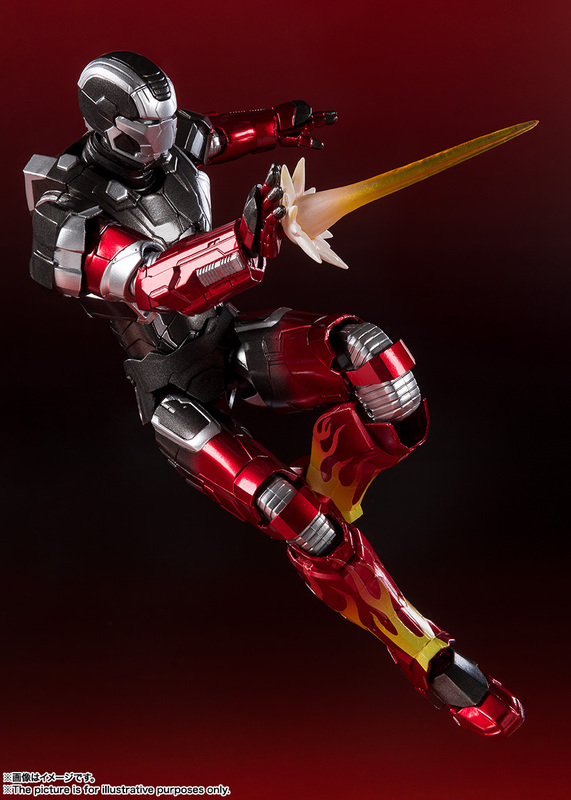 The figure will be available at the official shop during the event. 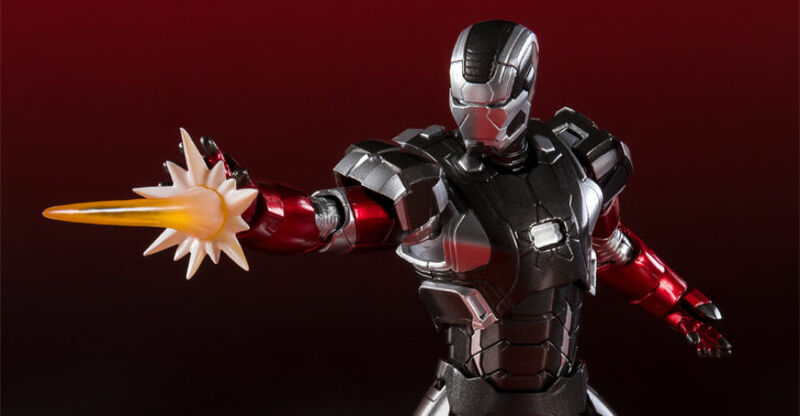 At this time, it’s unclear if there will be any online sales, or if the figure will be available internationally from Bluefin. 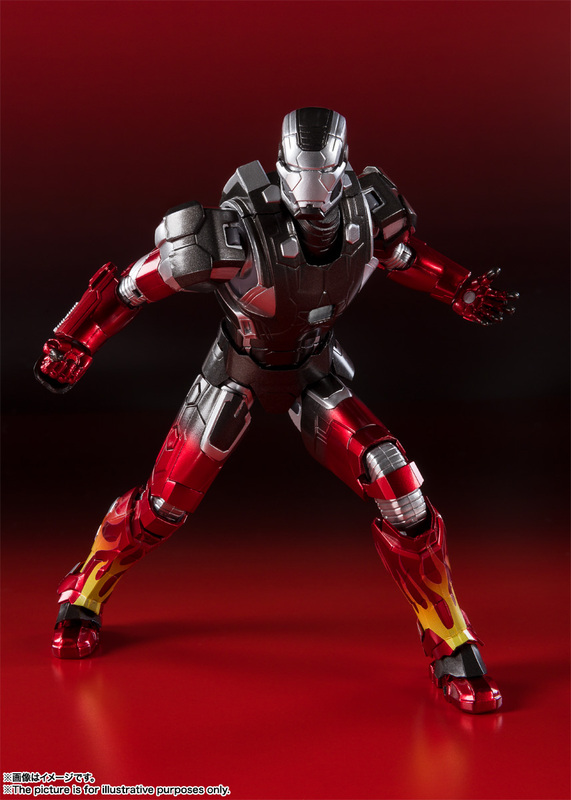 The Hot Rod Armor Iron Man will include multiple interchangeable hands and effects pieces. It will be priced at 6,264 Yen (about $55 USD). You can see the new photos after the jump. 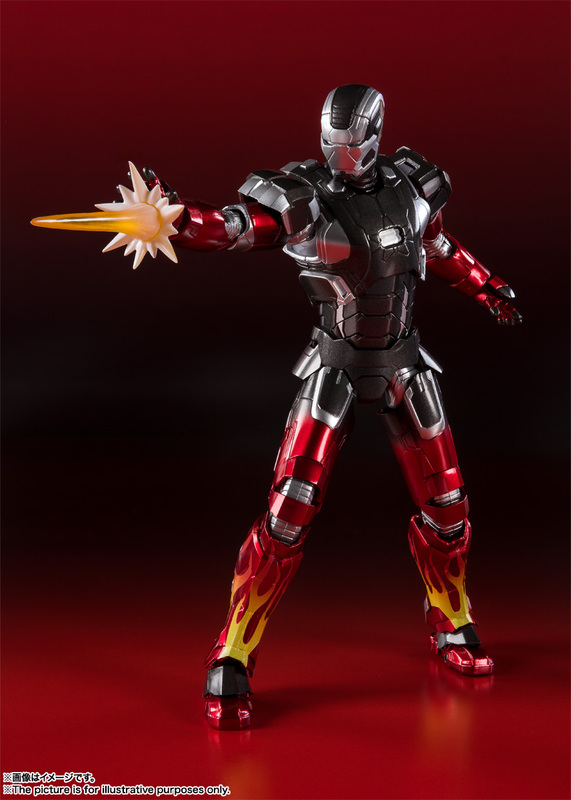 That's pretty cool they're going for the deeper armors; this one's just cool to look at so I might pick it up. It'd be great if it just gets a Bluefin release. When did this appear in the movie? It�s an extremely brief appearance during the final fight in the IM3 movie...here�s a photo (video clip won�t do because you�d miss it).